What do you guys think is the best set up for pod gauges? I'm thinking about doing Volts, Vacuum, and Air/Fuel. What are your guy's thoughts and ideas? ^true. But if you must have something, I'd start out with a volts gauge. ^This. If you don't have much for mods, there isn't really any point. About all gauges are going to do for you is possibly help diagnose a problem, but not any of those gauges you picked. Except possibly the voltage gauge, that might help if you had electrical issues. The AFR gauge is totally pointless. It's not wideband so it won't be accurate, and isn't going to give you any useful info. You can get wideband controllers built into a gauge, but unless you have serious engine mods and a tuner, it won't do anything for you. Pretty much the same with the vacuum gauge. If you aren't changing the cam, don't have a AFPR or a tuner, then it's pretty useless. If you wanted something that might be helpful and would be flexible and give plenty of options, I'd get once of those aeroforce scan gauges. 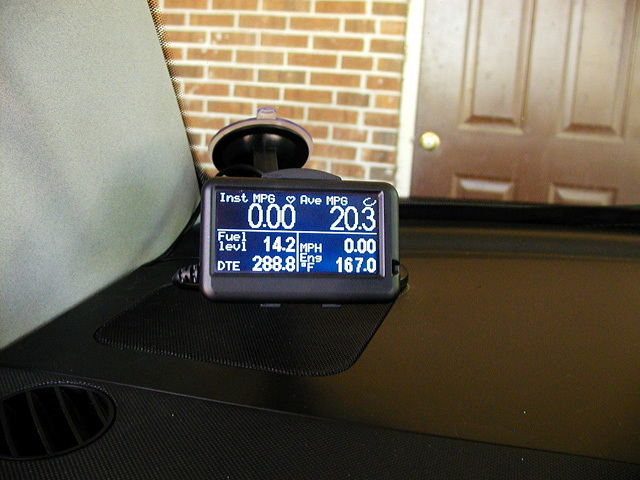 http://www.aeroforcetech.com/products_interceptor.html Lets you display multiple things and read any of the engine parameters from the OBD2 port. They also have add on sensors you can get to let you read things like boost/vacuum, oil pressure, wideband O2, etc if you needed them later down the road. i got glowshift oil pressure gauge, trans temp and a stewart warner boost gauge. and a 3 gauge pod setup.